PEN International deeply saddened by death of former International President, Jiří Gruša. 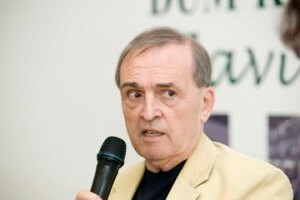 Jiří Gruša served as President of PEN International from 2003-2009. He will be remembered by all at PEN for his love of literature and his committed promotion of the ideals of PEN. Speaking of his role as International President he described his focus as: "My priorities are communication and openness. It is important to stress that freedom of expression is actually freedom from hatred." A well-respected Czech writer and diplomat, Jiří Gruša demonstrated great bravery and quiet determination throughout his life. He was persecuted by the communist regime in response to his novel Mimner in 1969 and was arrested in 1978 following his novel The Questionnaire. He protested against the totalitarian regime of of the former Czechoslovakia, signing up in 1977 to Charter 77. Since the 1990s he held a diplomatic and political career as Czechoslovak and then Czech Ambassador to Germany and Austria and subsequently as Education Minister in the Czech Republic.